How plausible is the following scenario? 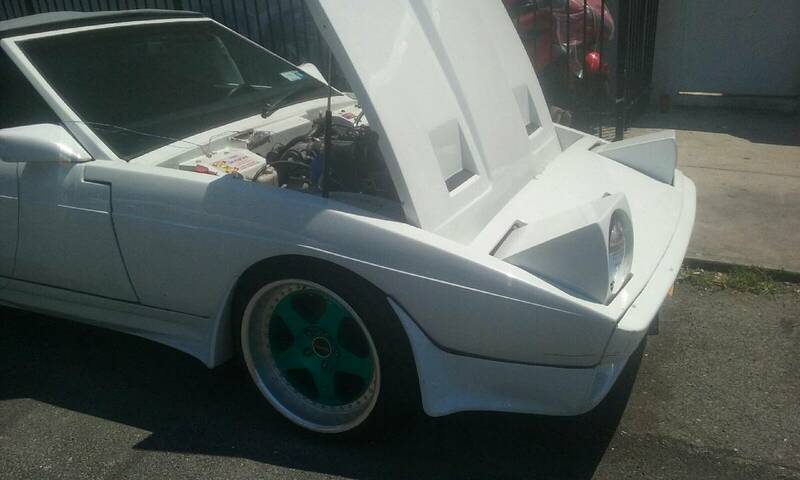 Miami Vice TVR 280i chase car is found in Florida garage with a blown engine, next JDM fan owner swaps in a Toyota 1JZ twin turbo engine, and then car is sold to a buyer who fits a stanced wheel/tire combo so it can be shown off at the H20 festival. This is about the only scenario that seems to make any sense as to what may have happened to this car. 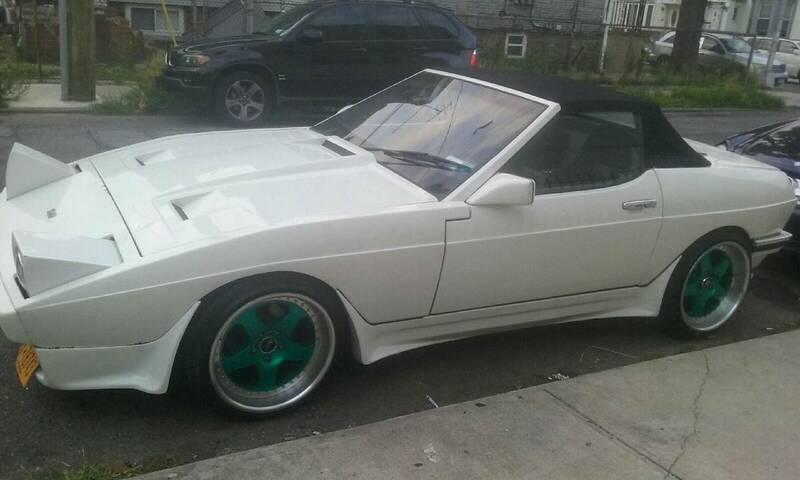 Find this 1986 TVR 280i for sale in East NY, NY for $10,000 via craigslist. In 1985, the TVR Tasmin name was dropped and was known simply as the 280i there after. The 280i was powered by the Ford Cologne V6 which was probably most known for its use in the popular UK sports car the Ford Capri. It was good for 160 horsepower in this application. The 280i only had four gears to shift using the Ford type E transmission. The differential and braking system were sourced from a Jaguar XJ-S. Only 862 convertibles were sold in 1986-87. Any details about the car and the build of it are non existent. 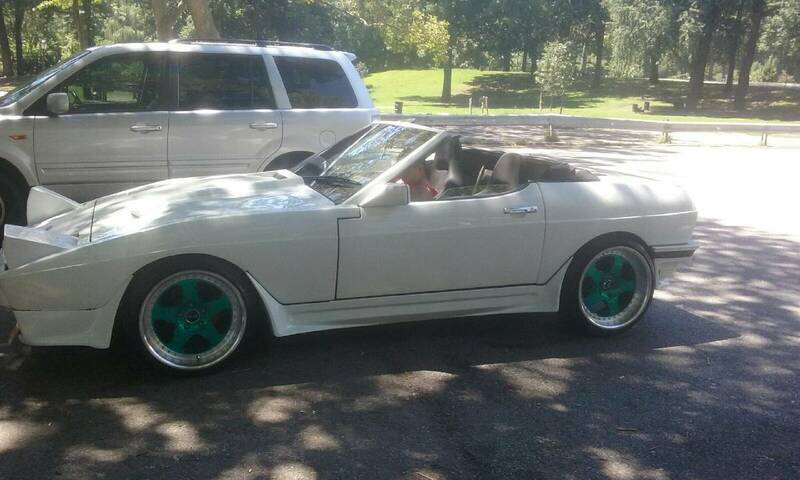 The seller says the terrible pictures speak for them self and the car is in perfect condition. 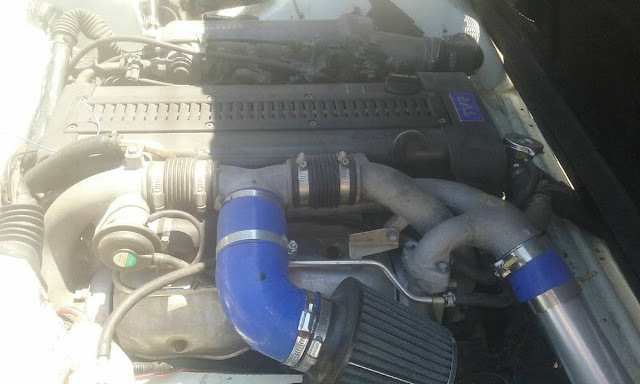 It remains to be seen if the seller even knows the car has a Toyota engine installed (don't be fooled by the TVR placard on the front of the engine cover). How the car runs, what transmission is used, the amount of boost being run, and what other modifications have possibly been made are all unanswered questions. Cory sold his project 1995 Mercedes E36 wagon and is getting a 1995 Mercedes C36 registered this week. This leads to the ironic conclusion that even extremely unreliable cars can be made more unreliable using parts from the very reliable cars. Would have been nice to get a front and rear shot of car i think Lou needs a red Italian car. I love old wedge TVRs and the 1jz is a really cool motor but i don't think i'd want to combine them. So no more turbo 1JZ engine?